SONNEMAN—A Way of Light, the leading U.S. designer and manufacturer of high-quality, architectural decorative lighting, is pleased to announce the opening of a new 7,000-square-foot showroom in the New York Design Center at 200 Lexington Avenue in Manhattan. The brand’s first-ever dedicated showroom in New York City is set to open to the public in Spring 2019. Located on the second floor of the city’s premier destination for fine furnishings, SONNEMAN—A Way of Light’s new showroom in Suite #201 will serve as a gallery and project design space for an extensive selection of the product line. Supporting SONNEMAN’s goal of being more than a manufacturer, the showroom will offer the local design community the opportunity to engage and collaborate with the brand, providing a solution-oriented space for co-creation and innovation. Displaying a comprehensive offering of scalable systems and decorative fixtures, the showroom will feature over 4,000-square-feet of collaborative space, including a hands-on “Suspenders Lab” where designers will beable to arrange custom configurations alongside on-site SONNEMAN team members. The showroom will also include two conference rooms and a dedicated project room for SONNEMAN product knowledge leads to work directly with clients, as well as a private office and full-service kitchen for programming. Of the collections on display, SONNEMAN—A Way of Light’s recently-released 2019 launch will be prominently featured throughout the space. 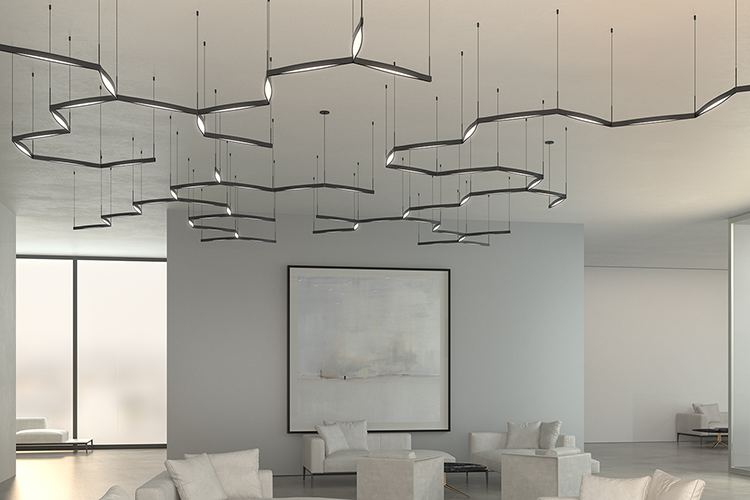 Intended to show both the depth and diversity of the brand’s latest introductions, the showroom will serve as an informational hub for over 350 new additions to the award-winning Suspenders LED system and the nearly infinite options now available for newly introduced scalable Intervals. The showroom will also feature a regular rotation of events and activations throughout the year, aimed at increasing market awareness and strengthening client relationships. The New York City showroom will be the second of the brand’s stand-alone spaces to open this year, underscoring SONNEMAN’s vision for growth and increased visibility within the architecture and design community. Coupled with the recently-opened Dallas Market Center showroom and increased representation along the West Coast, SONNEMAN’s Manhattan presence affirms the company’s commitment to expansion. For more information, please visit www.sonnemanawayoflight.com.